His Royal Highness Crown Prince Alexander II were decorated with the Order of St. Tsar Nicholas for strengthening the friendly relations between the peoples of Russia and Serbia, on the occasion of the 400th anniversary of the Romanov Dynasty in Russia. 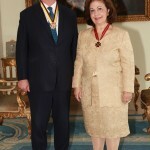 Her Royal Highness Crown Princess Katherine received the Order for Merit. 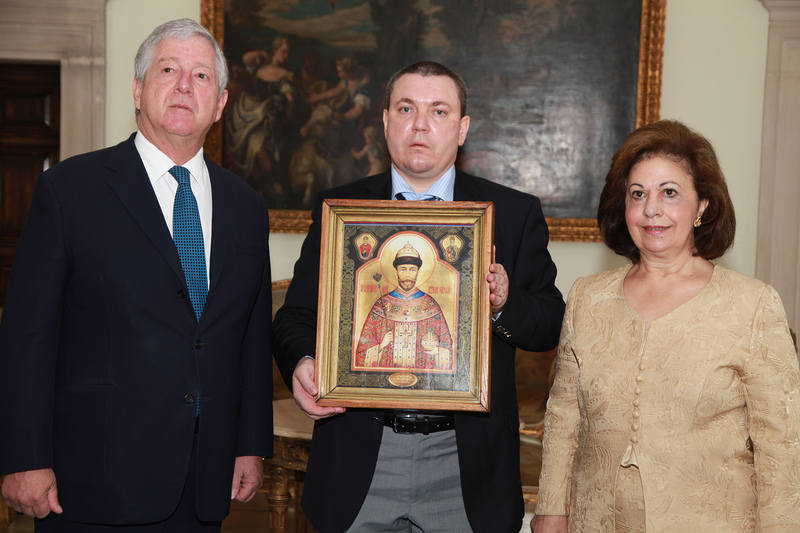 The advisor to the Primate of the Russian Orthodox Church Abroad (Metropolitan Hilarion of Eastern America and New York), and the head of the Military Orthodox Mission Igor Smikov and the Representative of the Military Orthodox Mission in Slovenia Gela Valiev came to the Royal Palace today and brought with them the Miraculous Icon of St.Tsar Nicholas to present Their Royal Highnesses with these high decorations. 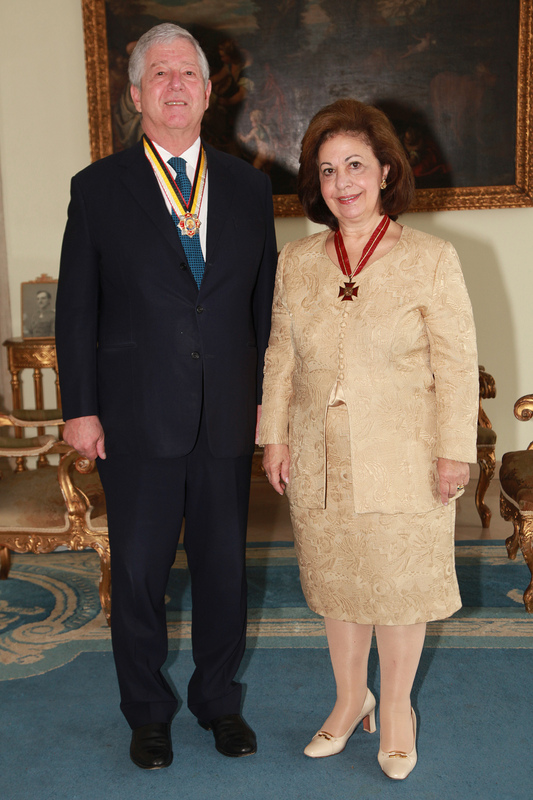 His Royal Highness Crown Prince Alexander II warmly thanked the distinguished guests for this recognition and stressed out that Serbia and Russia and their people have been together in difficult times in the past, and share deep cultural and historical bonds.